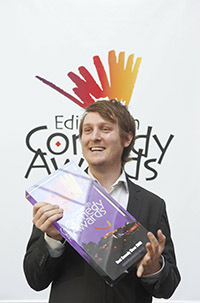 Erudite, clever and coy Tim Key's deft poems and stand up earnt him the 2009 award and a wide range of plaudits. Key swiftly followed his success with tour dates including Melbourne Comedy Festival and Just for Laughs in Montreal. Key's list of TV credits includes Charlie Brooker's Screenwipe and also for BBC Four, he co-created We Need Answers. More projects are set to follow.